We've included pictures for you so that you will know exactly what type of damage we have on our books so that you will not be surprised in the least. We have taken pictures of the worst, so that what you receive when you buy these books will be of the same level of damage or BETTER! Scroll down the page to see photos. If you have any questions or comments, of course, just send us an email at helpdesk@kqpublishing.net. Internet Orders only please! 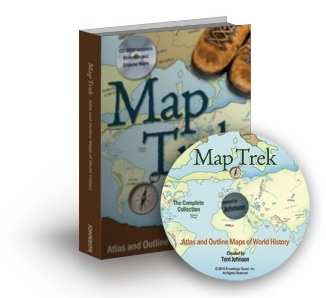 We have a very limited quantity of hardcover Map Trek books (with reproducible CD-ROM) that have small dings or dents in them. The CDs are in perfect condition. We have a limited quantity of softcover editions of A Child's Geography: Explore His Earth (with reproducible CD-ROM) that have small dents or scratches on them. The CDs are in perfect condition. We have a limited quantity of softcover editions of A Child's Geography: Explore the Holy Land (with reproducible CD-ROM) that have small dents or scratches on them. The CDs are in perfect condition. 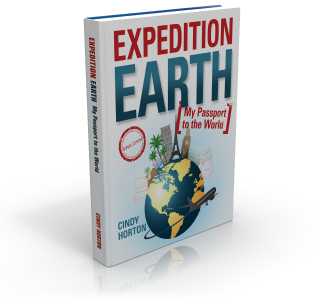 We have a very limited quantity of Expedition Earth hardcover books (with reproducible CD-ROM) that have small dings or dents in them. The CDs are in perfect condition. Read more about this title here. We have a limited quantity of out-of-print softcover Shaping of a Nation books (with reproducible CD-ROM) that are in perfect condition. Sale price $6.95 - (Regularly $25) Save 70% for a perfect book and CD! We have a very limited quantity of hardcover Wonders of Old books (with reproducible CD-ROM) that have small dings or dents in them. The CDs are in perfect condition. We have a very limited quantity of softcover editions of The Star-Spangled State Book that have small dents or scratches on them. 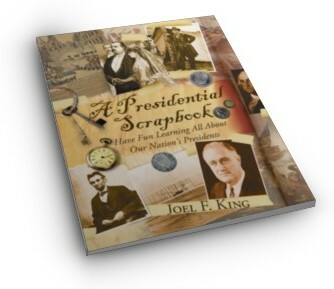 We have a very limited quantity of softcover editions of A Presidential Scrapbook that have small dents or scratches on them. 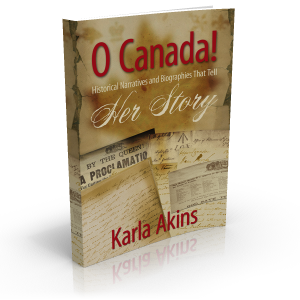 We have a very limited quantity of softcover editions of O Canada! Her Story that have small dents or scratches on them. 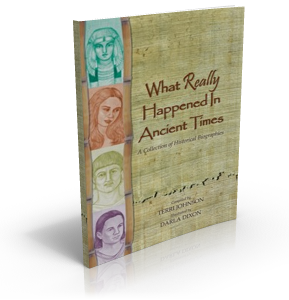 We have a very limited quantity of softcover editions of What Really Happened in Ancient Times that have small dents or scratches on them. These are currently out-of-stock, but we have a new shipment coming in and will ship out your book next week. 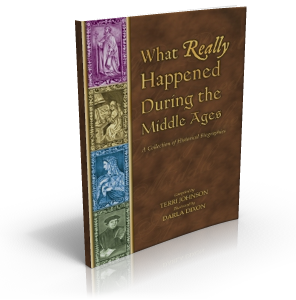 We have a very limited quantity of softcover editions of What Really Happened During the Middle Ages that have small dents or scratches on them. 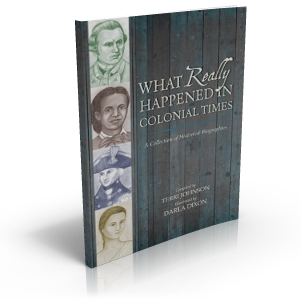 We have a very limited quantity of softcover editions of What Really Happened in Colonial Times that have small dents or scratches on them. Here are some photos from our damaged inventory. These are among the worst of the smashed corners that we could find in the lot. Nearly all items offered in the Scratch and Dent sale have some sort of imperfection (unless otherwise stated) - usually a dented corner or a scuffed cover. This is not a used sale, rather a less-than-perfect sale. These blemishes are minor. The bad ones we simply throw away (actually, we recycle them :). These are photos of the worst damage that we feel comfortable selling. Books with extensive damage get recycled. :) Your book will be of this level of damage or BETTER! Enjoy the sale and have a great week! P.S. Last year we sold out of our slightly damaged inventory in less than 2 days, so you might want to make your decisions quickly. Our system will let you know if we have sold out of an item. Otherwise, if you have any questions, just give us a call at 1-877-697-8611 or send an email to helpdesk@kqpublishing.net. If you are a long-time Knowledge Quest customer, then this is the Scratch and Dent sale that you've been waiting for all year. If you are new to Knowledge Quest, you just need to know that you are in for some incredible deals. The sale starts Tuesday, January 29th at 12:00 noon EST (11 CST and 9 PST). Every mail-order business encounters the problem of damaged merchandise. The damage may have happened during transit or even at the printing facility. It might also be the result of a customer returning a product without adequate protection. However, in the end, it doesn't really matter how it happened. The important point is that the damage has been done and without this sale, the product will just sit in our warehouse gathering dust. Because these dented and damaged products are available in very limited quantities, they are available on a first-come, first-served basis. This is our 7th annual sale and from our experience from the first six, there will be a buying frenzy. This may cause the website to act sluggishly, but your perseverance should pay off. If a damaged product has been sold out, the shopping cart software on our site will not allow you to add it to your cart. Since damaged items sell very quickly, we urge you to not delay in completing your order. Our customers' experience with this sale has been overwhelmingly positive. We think that you will love what you receive in the mail. Our policy is that items sold at these steep discounts are sold as-is and are non-refundable. However, if you find that you have received something that is unusable, please just give us a call and we will work out a satisfactory solution. The Scratch and Dent sale is available for internet orders only! We really cannot accepted phoned-in orders for damaged items since the inventory is monitored by the website. So, all of that said, don't delay your order and enjoy the sale! Depending upon the volume of orders, it might take us several days to actually get your order packed up and shipped out. Please be patient, but you can inquire after it within 10 days of placing your order if you haven't received it yet. Send an email to helpdesk@kqpublishing.net. The Scratch and Dent Sale starts January 29th at 12:00 noon EST (9:00am PST) and runs through Sunday, February 3rd at midnight.